An annual tradition as sweet as a chocolate-filled advent calendar, UK music website The Line of Best Fit has gifted Canuck music fans another Ho Ho Ho Canada Christmas mixtape to help you through the holiday season. The fifth edition once again presents a mix of yuletide classics and original compositions. A couple cheer-soaked songs to point out in particular include the electro-spiked "Winter Wonderland" from Christmasheim, a lounge-pop "Count the Thoughts" from Vancouver's Prairie Cat, and Carolyn Mark's toasty folk number "All Season Tired." Other artists involved in the project include Fiver, the Elwins, Les Breastfeeders, Michael Feuerstack with Paper Beat Scissors and more. 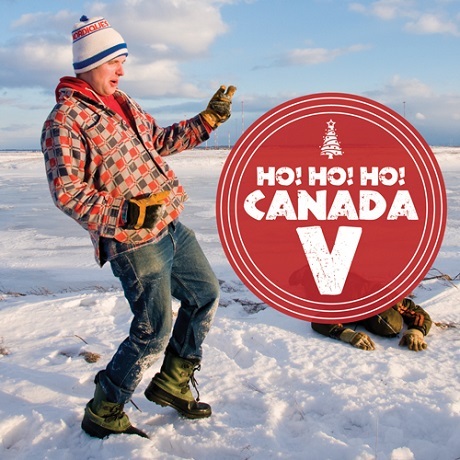 You can stream the fifth Ho Ho Ho Canada down below, or download it here. Since the comp is free, The Line of Best Fit suggest you slide a donation to a charity this Christmas.